Varenne Plein Air offers you the possibility to organize family happenings, seminars... In a large room with panoramic view over the lake. 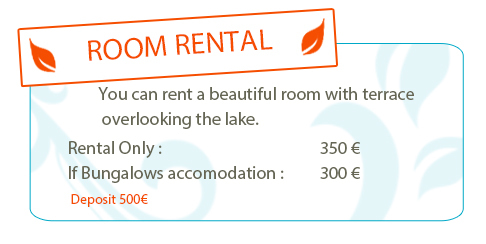 Room capacity for 50, equiped with a profesionnal kitchen, a terrace overlooking the lake and access for disabled. We care for your security, so you can stay over night in one of our bungalow. We ask for a 30% of the fee, and a 500€ deposit when we give you the keys.